If you are spending a lot of time as a traveling photographer, you must have noticed that in addition to the usual energy consuming gadgets like strobe and camera batteries there are now a plethora of devices that need a USB charging buddy. Things like a Smart phone, an iPad or even a GoPro. Carrying around chargers and sockets for all this gear is kinda messy. Especially if you are traveling to a foreign country and need a power adapter for each charger. 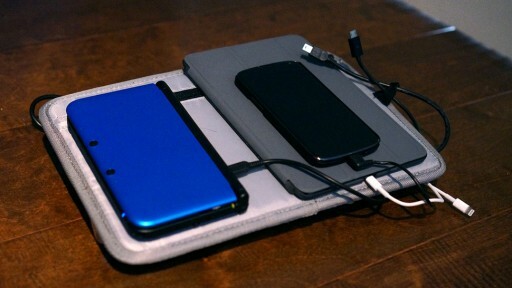 Adam Dachis over at Lifehacker has a sweet solution for this utilizing a gadget travel organizer, a 7-Port USB Hub and an 11,000mAh Portable Battery to make a light weight, portable and tidy charging station. 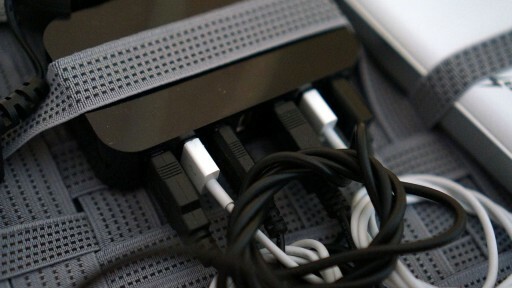 The benefits of using a USB hub is that it can split the battery power to charge many devices at once. The specific model in the post, the D-Link DUB-H7, even supports two ports of 2.1 Amps needed to charge a tablet. And it all packs down to a small 12x6x3 convenient inches that you can place in your car, backpack or on board carry on. For the complete instructions head over to Lifehacker‘s guide. P.S. A while back we shared a similar tip on using your domestic power bar which takes only one outlet when traveling, but if most of the stuff power are chargers, it makes more sense to travel lighter. Have you flown with this before.. Looks way to homemade, not sure I’d let it on a plane if I was in security.. I love the idea..
Just don’t take it through in hand luggage but even if you did it shouldn’t be a problem. D-Link is a renowned company and I don’t think this looks homemade.